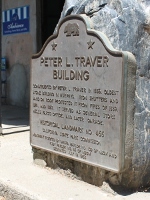 Constructed by Peter L. Traver in 1856, this is the oldest stone building in Murphys. Its iron shutters and sand on the roof protected it from the fires of 1859, 1874, and 1893. 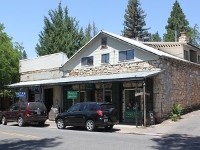 It served as a general store, a Wells Fargo office, and later a garage.